Garden statues are a tricky item. Give me pagodas for days, metal, concrete, wood, but a whimsical animal, tread carefully lest you wander into gnome territory. 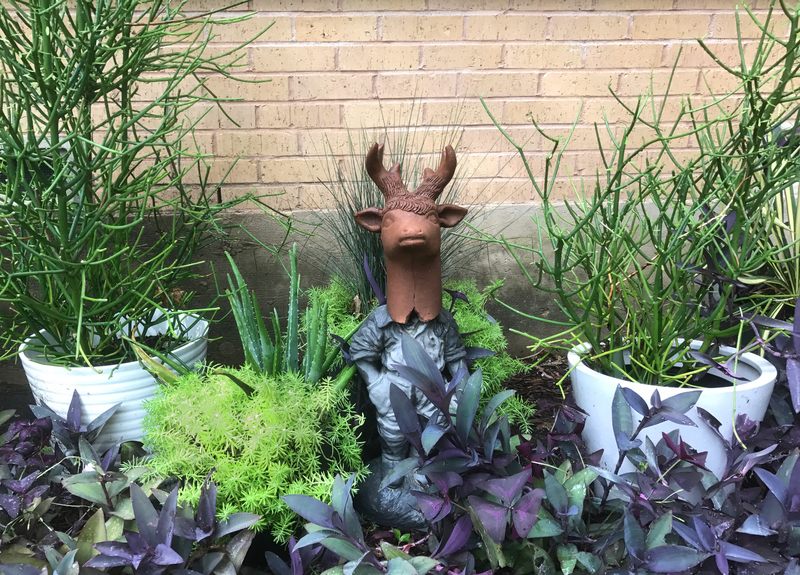 One has to be bold to accept a decorative animal onto the lawn, but if done right, there is no more enviable find, spied across a friend’s grill-out or poolside party: “wherrrre did you get thaatttt? ?” jealousy barely concealed. This project is not for everyone, which is good because it’s one of a kind and a personal reward for a decade of saving (boardering on hoarding). Read on for my super simple, slightly strange (let’s go with avant-garde?) garden statue creation.